On March 28, the 68th birth anniversary of Ashot Navasardyan, national, state, political figure, founder of the RPA was celebrated in Sisyan. 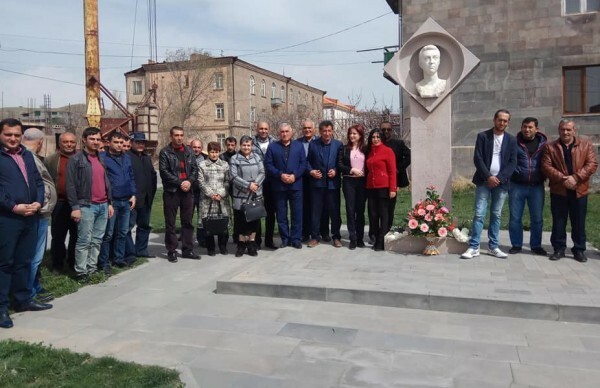 At his bust, which was erected on the Israeli street in Sisian, a tribute of respect was paid to the memory of Ashot Navasardyan by the party members, the citizens who valued the life, activity and ideas of his life. The members of the RPA Sisian regional organization presented the most important episodes of Ashot Navasardyan's life. Despite his difficult life and activities, Ashot Navasardyan never betrayed his idea of ​​creating a free, independent and united Armenia. "Ashot Navasardyan lived only 47 years, but the RPA ideology is still based on his ideas," - said the members of the party.